(Hong Kong – 4 February 2013) To share the joy of being recognized as the world’s best theme park by the prestigious Applause Award Committee, Ocean Park is participating once again in the Cathay Pacific International Chinese New Year Night Parade hosted by the Hong Kong Tourism Board on 10 February 2013. 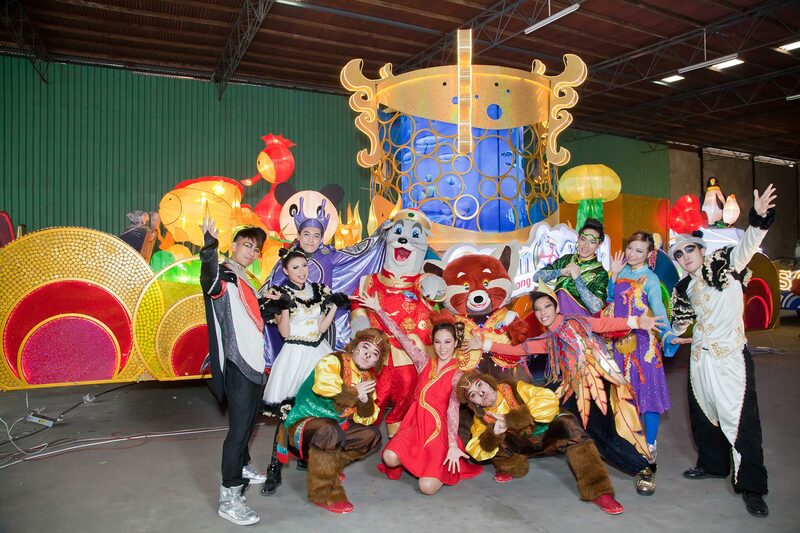 The “Light the Way with Ocean Park’s New Year Lantern Extravaganza” float will spread good cheer and blessings all over the city as it tours the parade route. 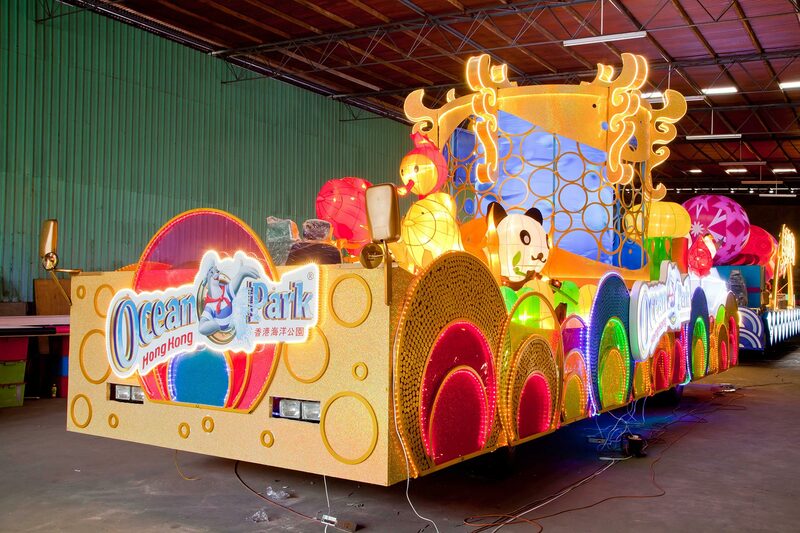 This year, there will be a magnificent display of lanterns on Ocean Park’s celebration float. At the centre is a spinning lantern that allows passers-by to take an exciting glimpse into the state-of-the-art Grand Aquarium, surrounded by giant lanterns in the shape of the Park’s iconic animal ambassadors such as the giant panda, penguins and sea jellies. 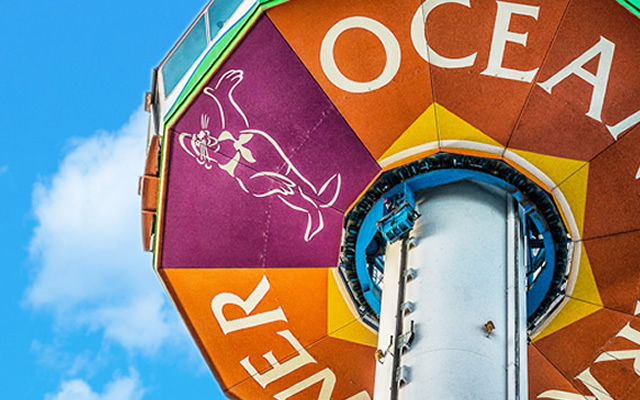 Ocean Park’s endearing mascots Whiskers, Tux, Redd and Chief will greet the public in traditional Chinese costumes, while the Park has also invited the award-winning Chio-Tian Folk Drums and Arts Group from Taiwan to lead the float with their fortune-laden percussion beats. Underlining the Park’s commitment to environmental conservation, the “Light the Way with Ocean Park’s New Year Lantern Extravaganza” float utilizes energy-saving LED lights to reduce power consumption, and in turn, the carbon footprint, compared with normal light bulbs. In an effort to promote recycling, bottle caps collected at the Park were also used to decorate the float. To celebrate the arrival of the Year of the Snake, Ocean Park will present its annual Lunar Lucky Fiesta during 9 - 24 February, featuring performances by Chio-Tian Folk Drums and Arts Group, as well as a 12-metre Golden Harmony Lantern, Hong Kong’s tallest spinning lantern. Guests can also enter the God of Fortune Palace to take home a red packet for a lucky start of the year, or take photos with lanterns themed on the Park’s beloved animal ambassadors. Besides, Old Hong Kong will play host to the Forever Golden Street Party, where classic movie characters will bring to life jubilant festive scenes from the 50’s and 60’s. At Whiskers Harbour, kids can join the Children CNY Customs Workshop to learn interesting Chinese New Year customs and create unique handicrafts for friends and family. Photo caption: A glimpse of the “Light the Way with Ocean Park’s New Year Lantern Extravaganza” celebration float If you need more information about the celebration float and Lunar Lucky Fiesta programmes, please contact Ocean Park’s Guest Relations Department at 3923 2323.